Look no further! 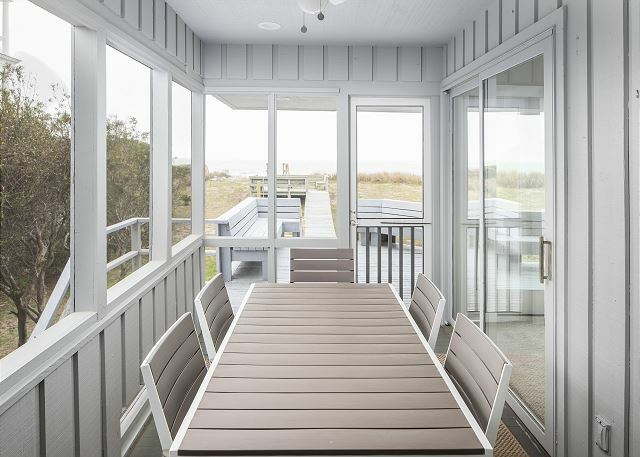 This home is the perfect choice for a memorable Seabrook Island vacation. 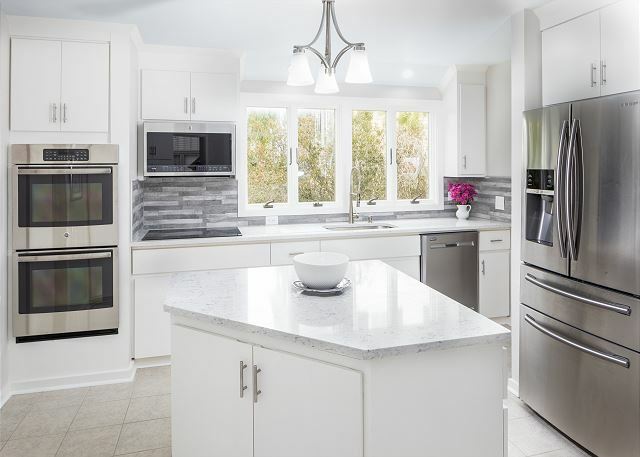 The newly renovated kitchen has high end stainless appliances, double oven, granite counter tops and tile accents. 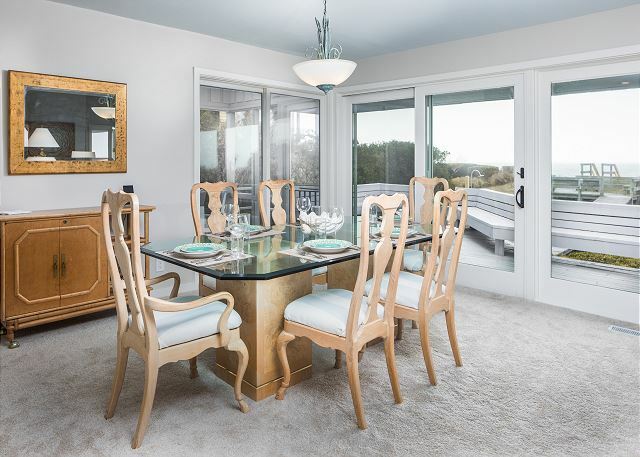 Its super convenient to the dining area and features a center island for the multi chef family! The granite bar has 4 new bar stools and a large pass through to the dining area where the large table comfortable seats 6. All baths are updated. Our beach house is freshly painted from top to bottom and all the carpet is brand new for 2017! 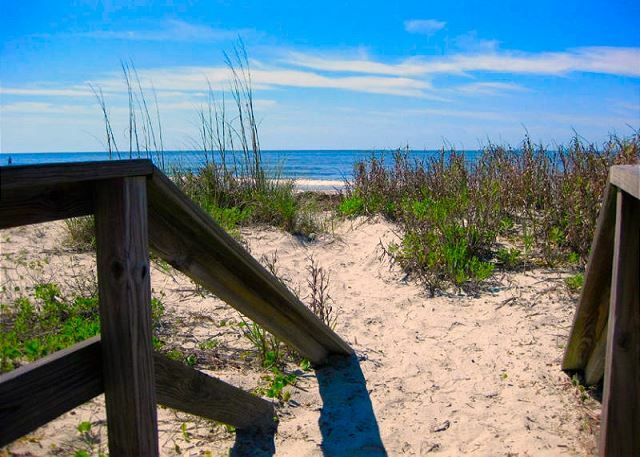 You cannot find a better location on Seabrook Island. 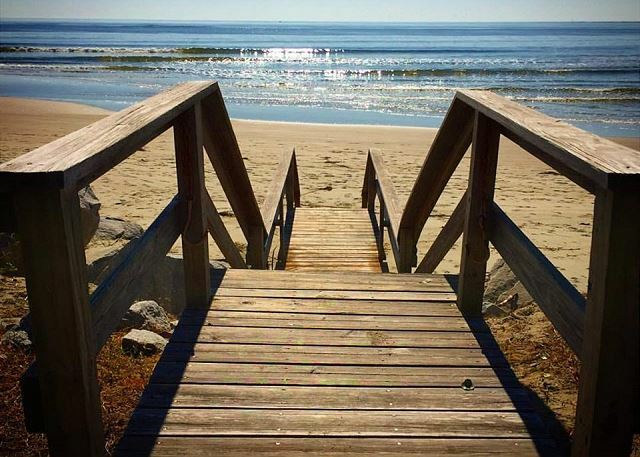 The beach is your backyard, just steps from the house. Enjoy a very short walk down the beach to the CLUB pools. Free amenity cards are included with your stay! The main level is open and spacious. 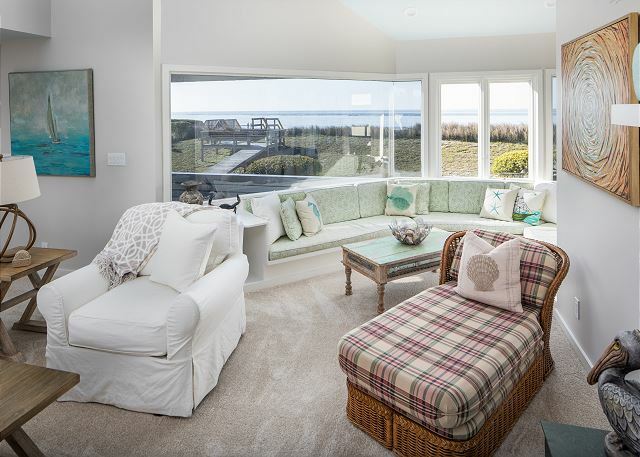 The ocean views through the huge wall of windows are captivating! 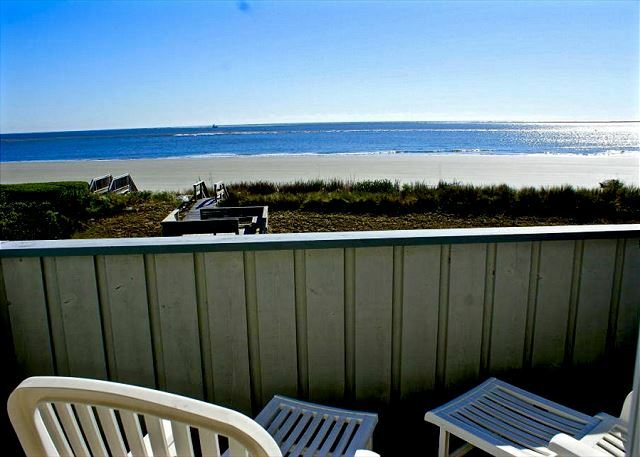 The oceanfront southern exposure offers peaceful sunrises to the left and tranquil sunsets to the right. 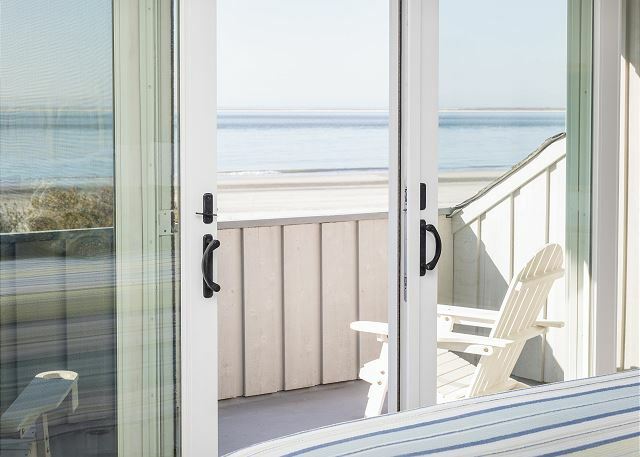 Enjoy coffee and cocktails from your screen porch or one of the several oceanfront decks! Family entertainment amenities include a HUGE 70 inch TV in the large living area. The beautiful wood paneled library is the kid's den with flat screen TV, game system and tons of games for indoor fun! Smart TVs offer guests with their own Netflix and Amazon accounts the ability to stream your favorite shows! 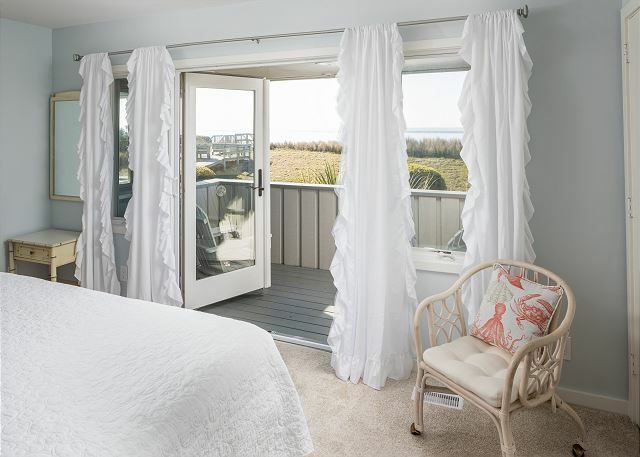 You will love the two master suites, each with new, quality king bedding, a private bath and oceanfront deck. 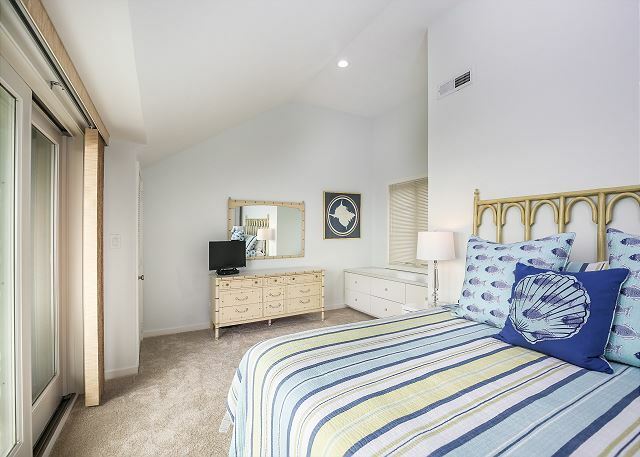 The first master suite is downstairs on the ocean side with oceanfront deck and private bath. The second master suite with king bed is upstairs. 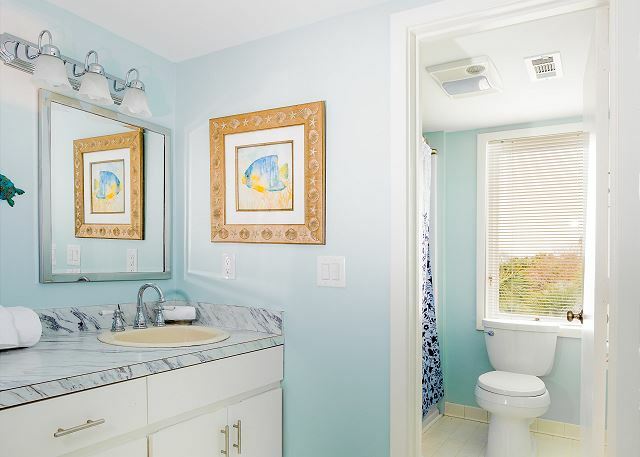 It also features an oceanfront deck and private bath. 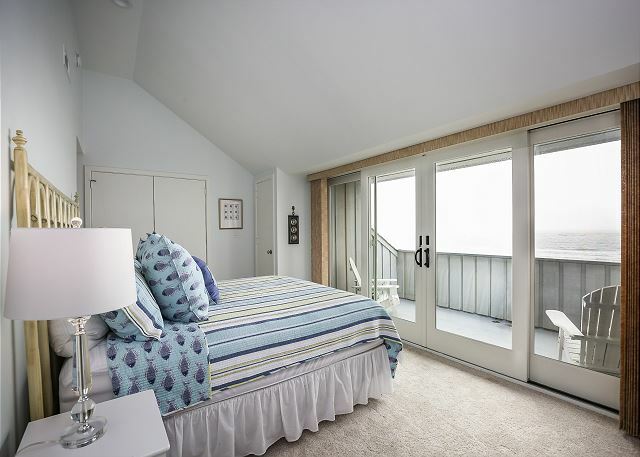 Bedrooms 3 and 4 are also upstairs on the ocean side with oceanfront decks. 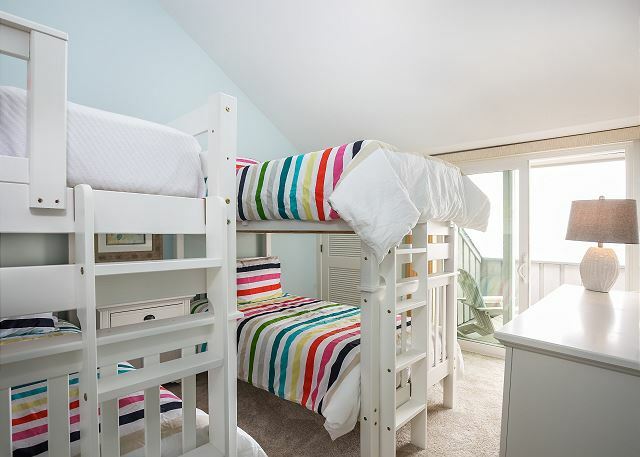 One is furnished with two bunk beds and the fourth with two twins. 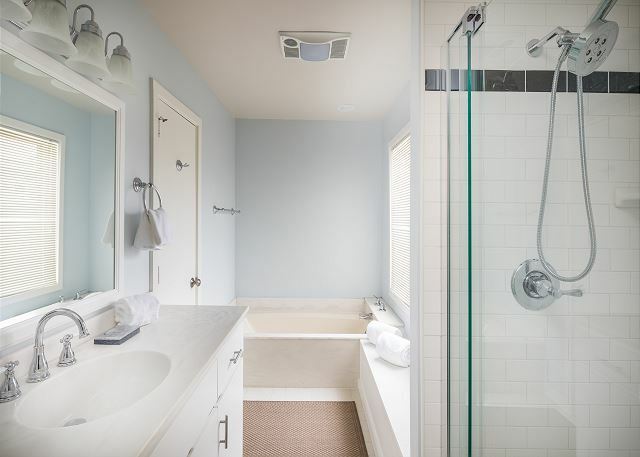 These bedrooms share an updated bath with tub/shower. HOUSE SLEEPS 10! 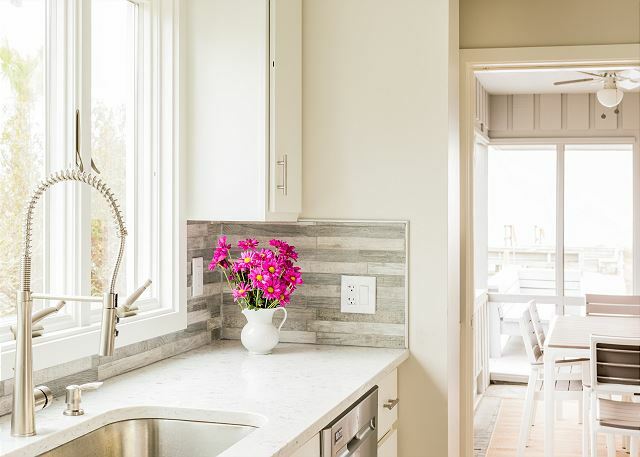 Additional home amenities include a gas grill, screened porch, direct beach access and FREE amenity cards. BOOK NOW FOR DESIRED DATES!! The house was great. Plenty of room. very clean. Really liked the arrangement so we were all involved. Our second time renting this home. Cannot beat the location. The house is well-appointed and Pam Harrington's team is the best! We needed additional space for family members who were visiting during the Christmas Holidays. I began my search for a house that could accommodate 2 families with four young children and a babysitter. 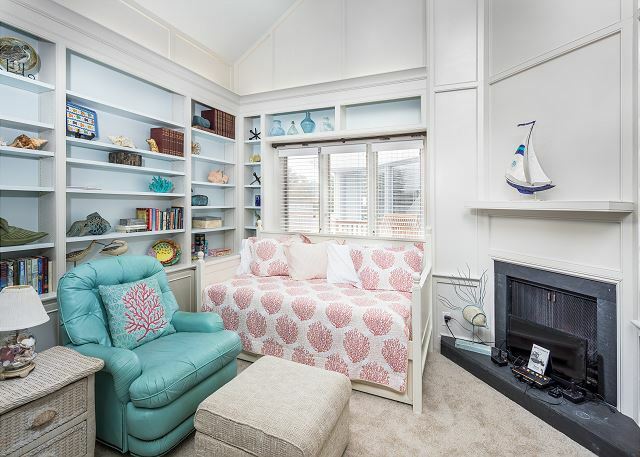 3724 was a perfect choice with two master suites, a bunk room, a game room ( which worked well for the baby's nursery, )and an additional bedroom for the sitter. 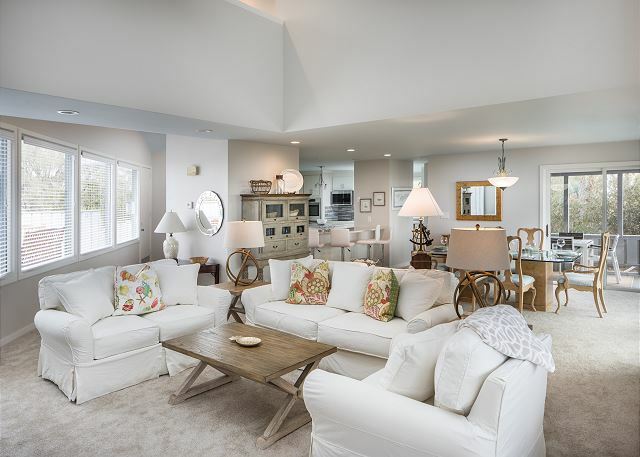 The open floor plan for the kitchen, dining, and living room allowed for a large, comfortable place for everyone to gather. 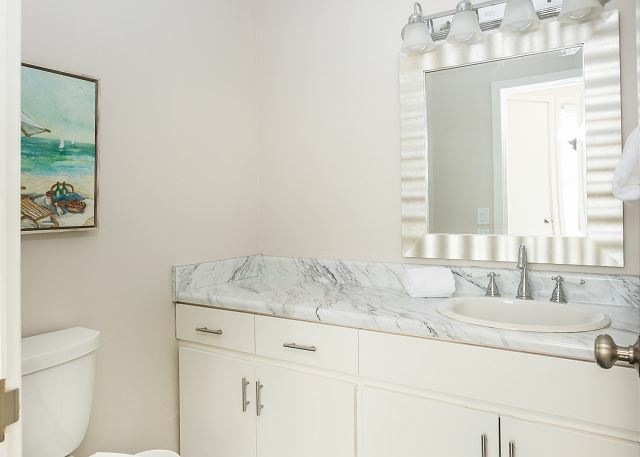 The house has been recently updated inside and was clean and well maintained. 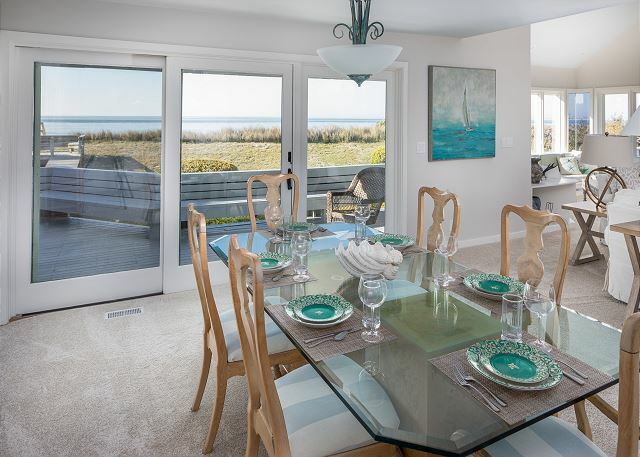 In addition, the oceanfront location allowed for gorgeous views! House was newly updated. wonderful appliances. Great kitchen with adequate tableware plus utensils, knives, pots & pans!! Fine Grill on deck along with outside dining area. Barware was fantastic. Refrigerator was a bit short on room with the freezer compartment being too large for the situation and not enough room for sodas, etc. House advertised to sleep 10. Would be crowded as bunk room is tight and 6 folks on one bathroom could cause traffic scramble. Library was fine area for seclusion and good book supply. Fine TVs! 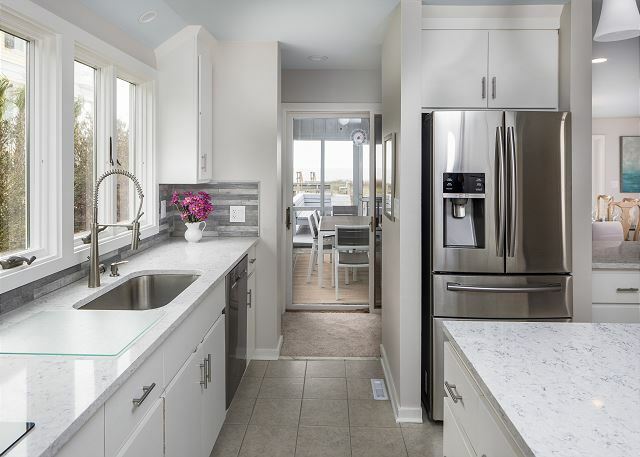 Having been "guests" on approx.30 different occasions at Seabrook, 3624 is really a winner in accommodations especially in kitchen furnishings. kitchen utensils, casserole dishes, pots, pans, etc. 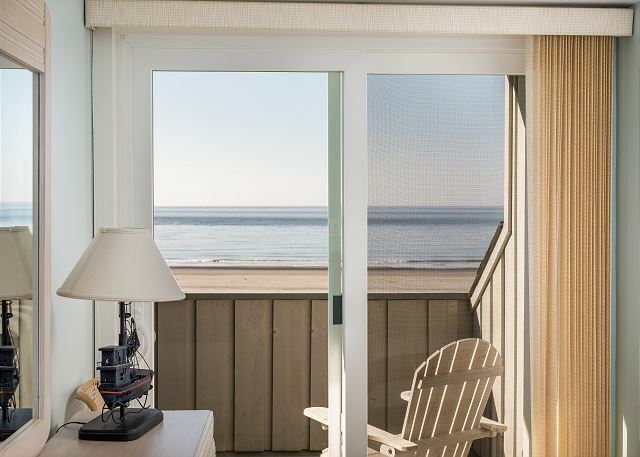 Being Oceanside, guests would rather cook, grill to take advantage of view instead of foraging to a restaurant. Bottom Line: Great house. Fear for over use. Carpet is new, clean, spotless. Would it have been more sensible to install wood flooring instead? Kids and sand can be detrimental. (Even with two outdoor showers). Opinion: House will be "loved to death". 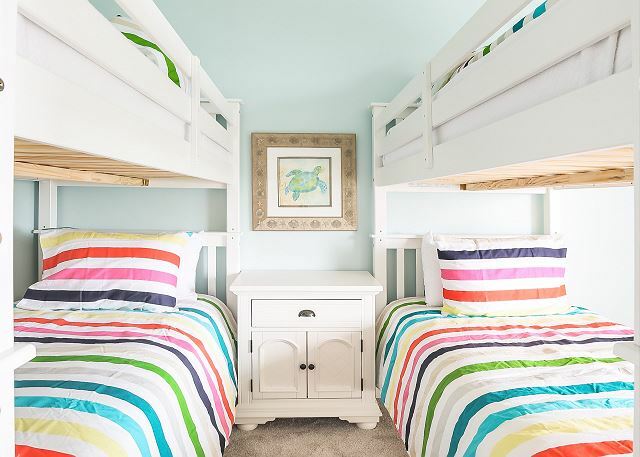 Suggestion: Remove bunk beds and replace with twin beds. We really, really appreciated this house and trust it will be used tenderly. A great addition to Pam Harrington's line up. The location of this property cannot be beat. The home is well appointed and flows very nicely. We had a great time and will be back again! 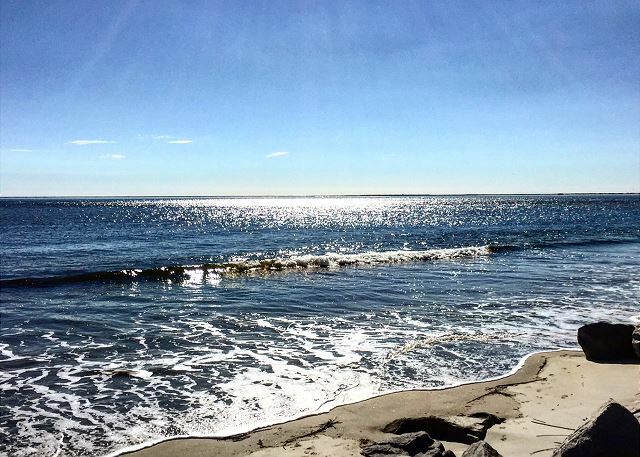 First Visit to Seabrook Island - Perfect in Every Way! 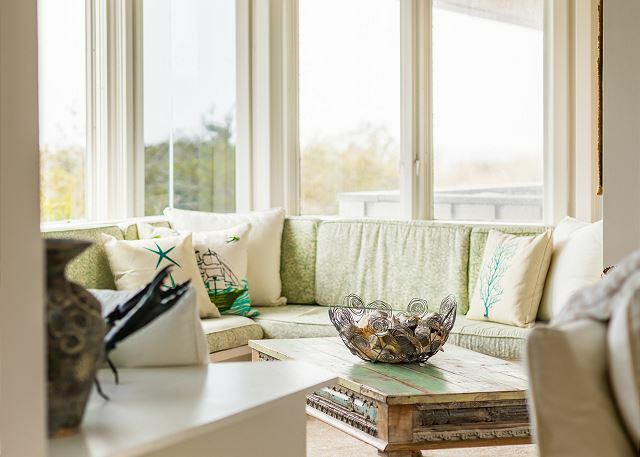 Seabrook Island is enchanting and relaxing and this gorgeous beachfront home had every possible amenity to make our stay effortless and comfortable. Our 3-generation family group of 10 ranging in age from 2 months to 63 years idled away the hours enjoying beach activities, time at the pool, and safely bicycling on the roads, bike paths and beach. 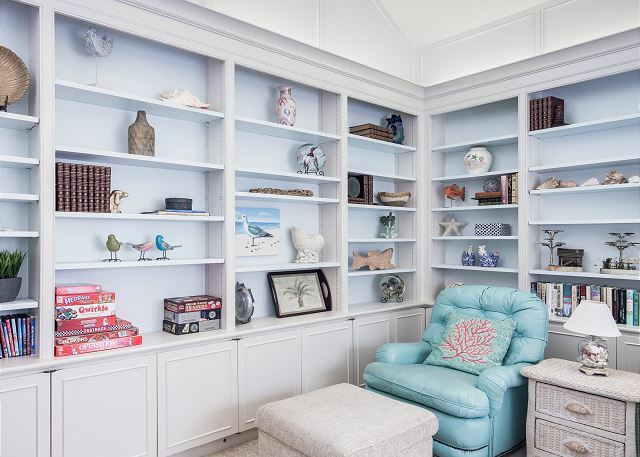 We were all very pleased with the thoughtful touches included with the rental, such as a well-appointed kitchen, games, books and movies appealing to various age groups, and a crowd favorite - a great selection of jigsaw puzzles. 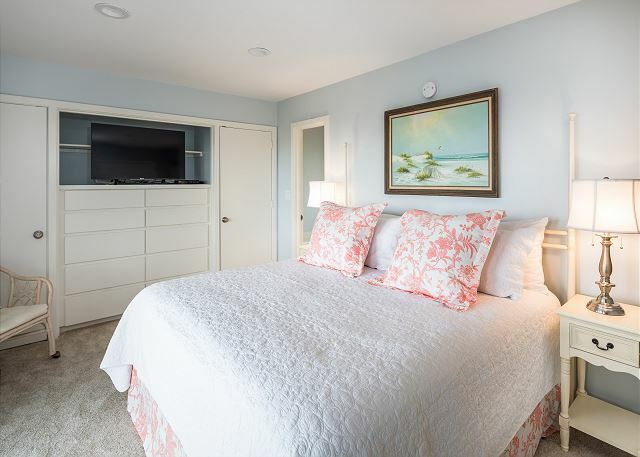 The layout of the house provides each guest bedroom with a true sense of privacy and quietness and access to a private deck and stunning beach/sunset views. 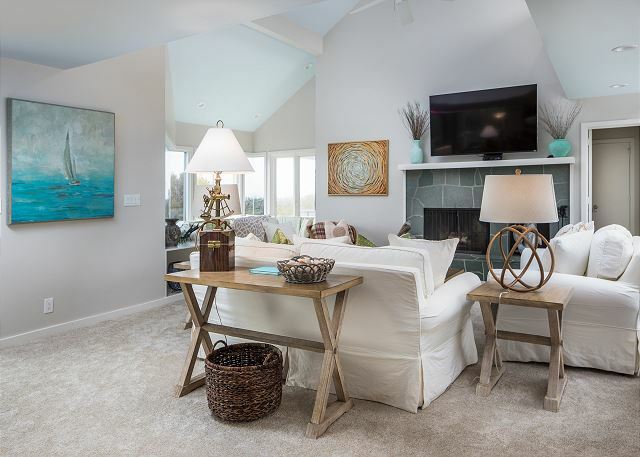 The spacious living/dining room space was perfect for group activities, but also had plenty of individual nooks for reading, playing a game, working on a puzzle, or enjoying quiet time while taking in the view without ever feeling crowded. The property is pristine and a true vacation oasis. Most of us ventured no farther than trips to Freshfields to pick up groceries for our next meal prepared and enjoyed at this beautiful home. One of the week's highlights was heading up past North beach to watch the dolphins strand feeding. This is a must see! Some of the group rode bikes from the house on the hard-packed low tide sand. Others went by car to Boardwalk #1, walked out to the beach (10 min.) then walked north to the Kiawah River inlet (another 20+ min). Dolphins were also spotted swimming in the ocean right in front of the home and heading up the inlet to the Edisto River to the south. Our experience with the rental agent, Seabrook Exclusives, was excellent. Booking was a breeze, information was accurate, reminders were timely, and arrangements for obtaining/returning the amenities cards were clear and prompt. This family vacation and this rental experience were topnotch! Lovely home and great location right off the beach. Got to see baby turtle hatchlings make their way to the surf. Very good weather most of the week. 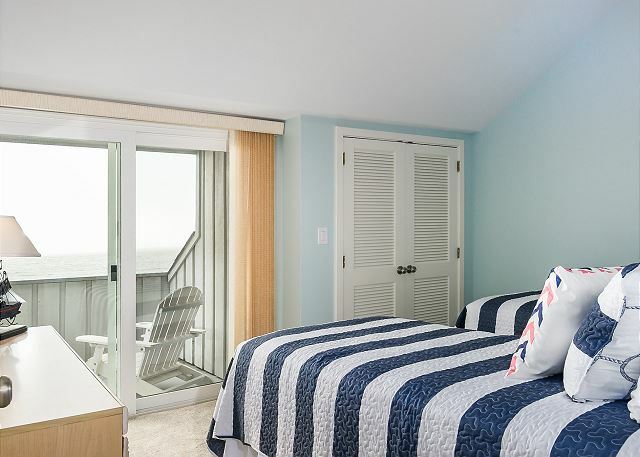 We had a a great week at the beach - perfect location, near but not too near the beach club and golf courses, right on the water, and the property - recently remodeled on the inside, we think, was outstanding.